On September 26, British Prime Minister Theresa May told the Iranian president Hassan Rouhani that she has “serious concerns” about the imprisonment of British-Iranian dual citizen Nazanin Zaghari-Ratcliffe. 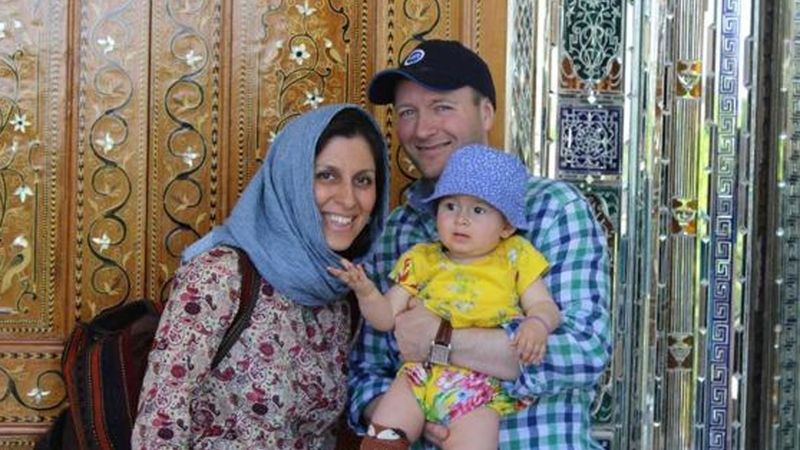 In April 2016, Zaghari-Ratcliffe was arrested and later sentenced to five years in prison in Iran for spying – an accusation she has vehemently denied throughout her ordeal. Soon after taking up his post, British Foreign Minister Jeremy Hunt met with Zaghari-Ratcliffe’s husband, Richard Ratcliffe and tweeted about the “shocking and desperate” situation the family find themselves in. He also demanded Zaghari-Ratcliffe’s release during his first face-to-face meeting with his Iranian counterpart earlier this month. Of course, May and Hunt are right to be concerned about Zaghari-Ratcliffe’s incarceration, and to advocate for her release. But where is their concern for the hundreds of women, often the victims of sexual and gender-based violence, currently held in the UK’s many “immigration removal” centres? The conditions of these detention centres are notoriously poor – in February of this year, over 100 women in Yarl’s Wood (an immigration removal centre primarily housing female detainees) went on hunger strike to protest what they referred to as “inhumane conditions”. As the former home secretary and current prime minister, May has been a key architect and proponent of the hostile environment policy which has led to the detention of hundreds of women from across the globe. As a result of these policies, the UK immigration detention estate is one of the largest in Europe; from 2009 until the end of 2017, between 2,500 and 3,500 migrants have been in detention at any given time. May’s selective concern for the unjust imprisonment of Zaghari-Ratcliffe stands in stark contrast to this, particularly as immigration detainees in the UK are sent to immigration removal centres as an administrative process rather than a criminal procedure. Detainees are not accused of a crime, but are victims of state bureaucracy, something which is weaponised to make the immigration process as difficult as possible. When you consider that the single most common category of immigration detainees is people who have sought asylum in the UK at some point, this system appears to be all the crueler. The Conservative government goes to great lengths to keep UK immigration detention unseen and unheard. Shadow Home Secretary Diane Abbott tried to gain access for over a year before she was finally allowed to visit Yarl’s Wood. However, this double standard is not limited to May or even the Conservative government. The media coverage, and wider discourse, of Zaghari-Ratcliffe’s case, has laid bare the contrasting principles of British society. We see Zaghari-Ratcliffe’s imprisonment as political and unjust (which it is), but simultaneously construct the women languishing in Yarl’s Wood as an unfortunate necessity – just part of the ugliness of things that “have to be this way”. In doing so, we depoliticise the UK’s regime of border control, which subjects immigration detainees to periods of indefinite detention. But the way we enforce border regimes is inherently political, and fundamentally unjust. The UK is a rich country, having accumulated wealth and power through colonial exploits, at the expense of the global South. Now, we clutch greedily at our stolen resources, and we punish the people we stole from. We base our logic for this on the notion that there is a birth lottery and damned are those unlucky enough not to be born entitled to a British passport. This way of thinking has become increasingly entrenched in UK society, and it is incredibly mean-spirited. It allows us to formulate immigration policing as apolitical. We deliberately ignore that the legacy of Britain’s colonialism continues to shape the world as it is; it’s not a coincidence that people from former colonies continue to migrate to the UK. Immigration detention centres are not natural occurring phenomena but the result of these deliberately crafted systems, designed to keep wealth in and people out. In a statement after his meeting with Iranian Foreign Minister Mohammad Javad Zarif, Hunt stated that “[Nazanin Zaghari-Ratcliffe] deserves to be at home with her family”. This is equally true for female immigration detainees in the UK. The women confined in Yarl’s Wood are, like Zaghari-Ratcliffe, three-dimensional people, with lives outside of the walls of their confinement. Like Zaghari-Ratcliffe, they have friends and families waiting for them on the outside. And, like Zaghari-Ratcliffe, they have a right to access justice, equality and freedom.